Attractive 3 bedroom, 2 bathroom home located in growing Ocala community of Silver Springs on cul de sac street. Open floor plan with living room/dining room combo featuring new neutral 2 tone interior paint and wood look vinyl floors. Updated kitchen includes new cabinets, new counter tops, breakfast bar, and stainless steel appliances. Master bedroom offers walk in closet and en-suite bathroom with shower. Screened in lanai off rear sliding door overlooks fenced backyard including storage shed and mature trees. 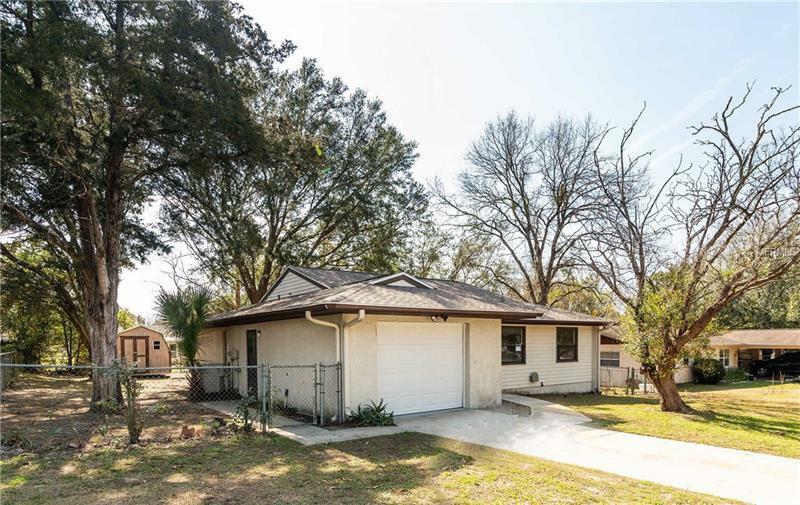 Home is located between Ocala and Belleview. Easy access to public parks, Lake Weir, medical, schools, shopping, and dining. NO HOA. NEW water heater, NEW garage door plus NEW Roof just installed! A must see!